There are two halls (large and small) which are available to hire separately, or alternatively you can hire the whole building for exclusive use. The space is ideal for functions, parties, receptions, meetings, society get together's, indoor games/sports, shows, plays, musicals, and pantomimes etc. There is a large Kitchen, which is a shared space between both halls. The Kenley Memorial Hall is set in its own landscaped grounds and boasts two communal halls, which have been refurbished largely with funds raised by Kenley residents. The hall is set back from the A22 with access via steps from the main road. There is step-free access to the hall via the car park to the rear of the hall which can be reached from Station Road. A fully-fitted stage with wings, curtains and lighting. Hire includes use of tables (180cm x 80cm) and chairs. Capacity for 30 seated, with a small platformed area - suitable for committee meetings, presentations, coffee mornings and small exercise classes. 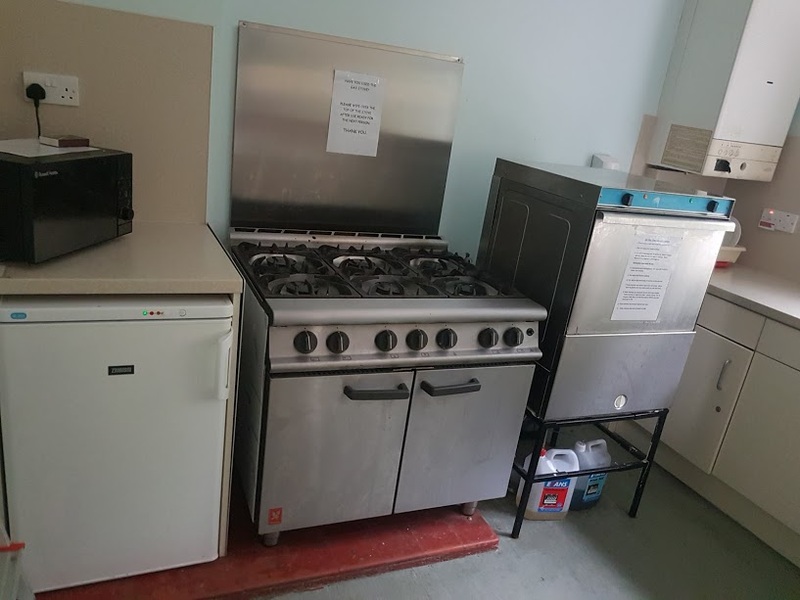 Fully fitted kitchen- including dishwasher, fridge, freezer and industrial oven and hob.